Forum Home > eBay, LeBonCoin, Mercado Libre, Yahoo Japan, etc. > Heads Up on yet another 7A38 Franken(s) - Part 2 !! 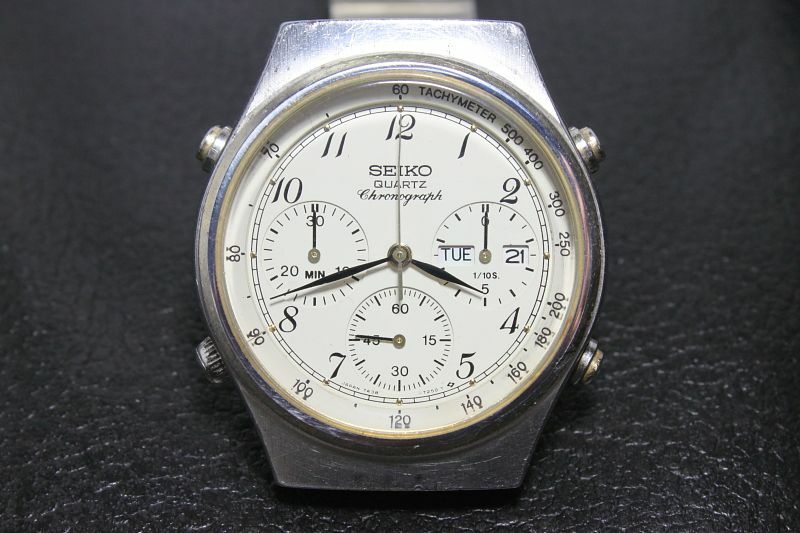 Many of you will, at some time or other, have read the seemingly never-ending thread which I started in the Japanese section of the UK RLT watch forum, back in April 2010, entitled 'Heads Up On Yet Another 7A38 Franken'. Some 200+ posts and 21,500 views later, it still appears to be attracting readers, even though it hasn't been updated in the three weeks since I left RLT on 7th January. But these two Italian eBay sellers are really taking the p*ss. 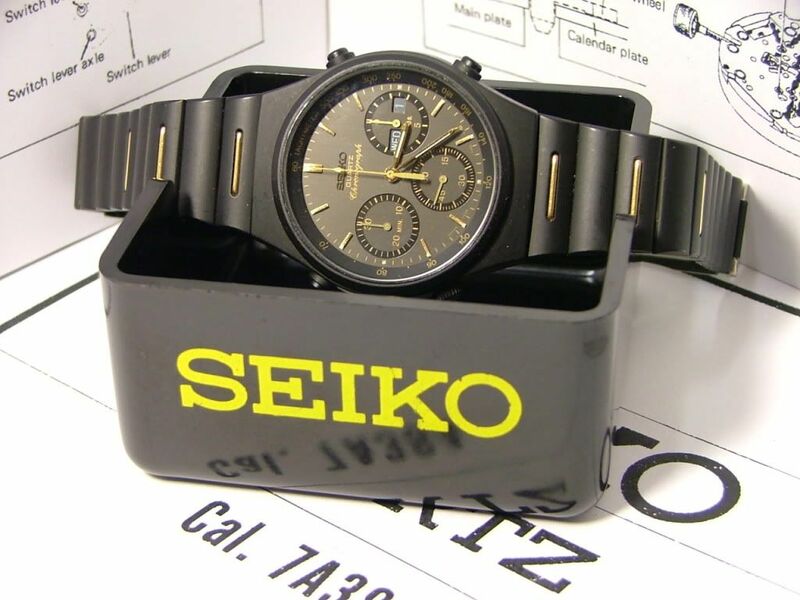 It's a very small photo of the watch, on a large expanse of Italian marble work-top - but it's not too hard to figure out that it's a stainless 7A38-7020 case, on an indeterminable bracelet, fitted with the yellow and black 713L dial and hands out of a 7A38-7140. Hmmm. Now where can I find a suitable photo of one of those ? Or a Buy-it-Now price of wait for it .... 1200.00 Euros (Approximately £1003.56) !! If it weren't for the seller's obvious greed and stupidity. 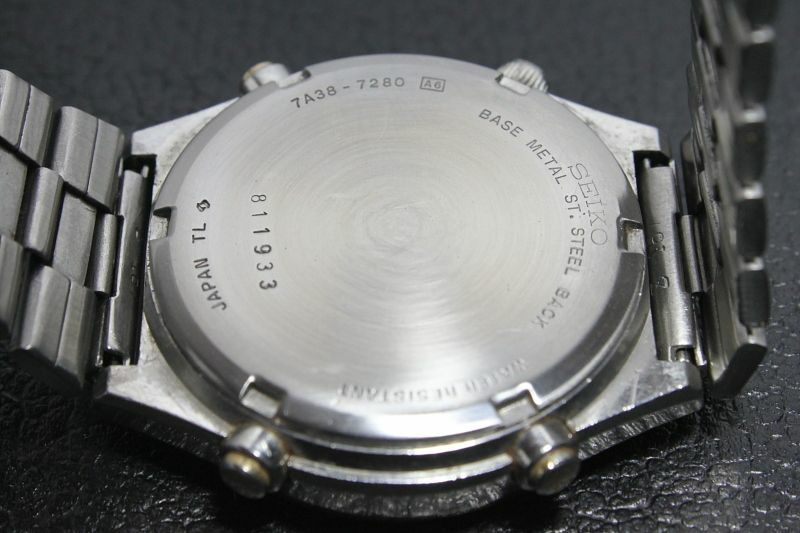 It' s the head of the original 7A38-7080, with what appears to be a half-decent bezel. 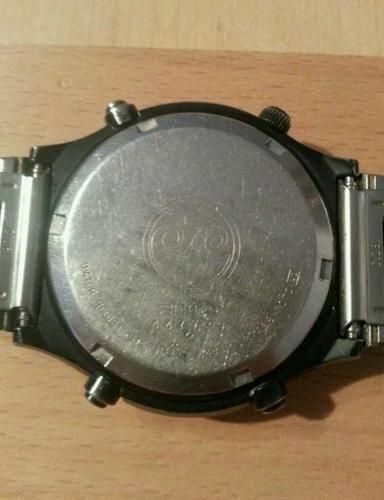 I haven't quite yet figured out what the bracelet is off - but although similar, it's not off the donor 7A38-7180. I've got an idea it's off a black chrome H557 Ana-Digi - it's 18mm lug fitting, not 20mm, as it really needed to be, to match the lug box width of the head. You can see the mis-matched spread of the spring bars in the seller's third photo. 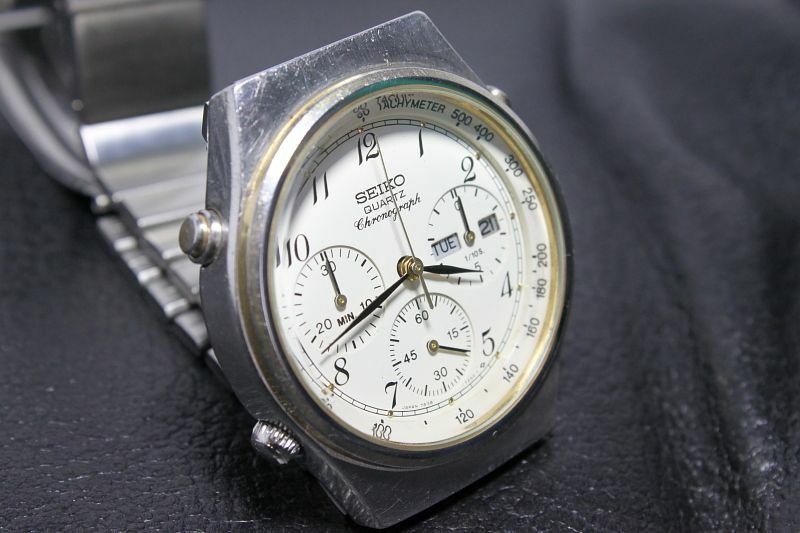 Which is the original correct 709L dial and hands from the 7A38-7080 he butchered. Caveat Emptor - as always, Gentlemen. 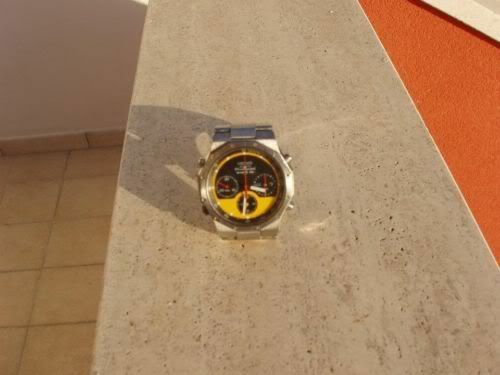 http://www.thewatchforum.co.uk/index.php?showtopic=53526&st=195 has just turned 21,600 Hits !!! Do you think someone could arrange a re-direct ? Seriously though, probably not a good idea. I received a notification from Webs this morning. Apparently we're getting too much traffic already. It looks like your site is having a very busy day. To avoid overwhelming your inbox, we have limited your email notifications to 3 per day. Please visit your site to see the additional activity! I've installed a statistics package. You wouldn't believe how many visits we've had. Somebody entered a bid of 1.00 Euro on the first Franken, and killed the Buy-it-Now. 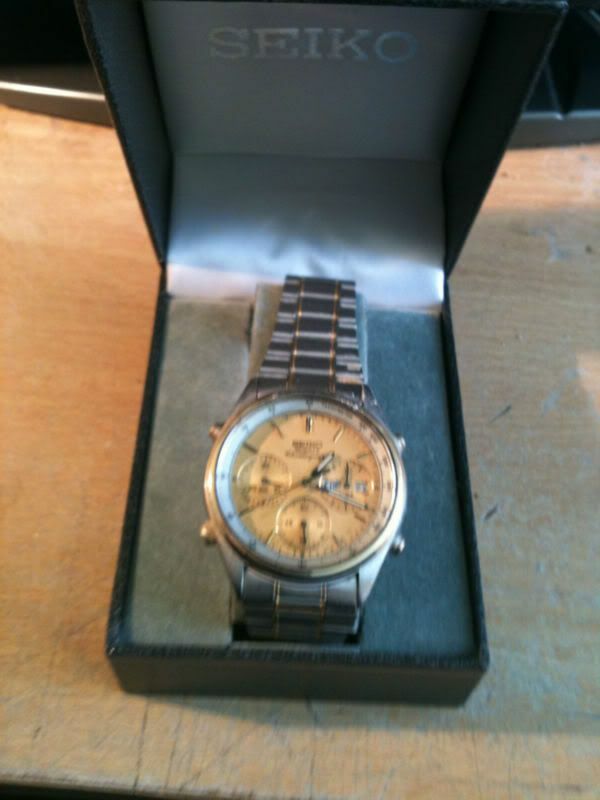 Posts: 34 Hi Paul, the bracelet came from a seiko sports quartz, ceramic coated. 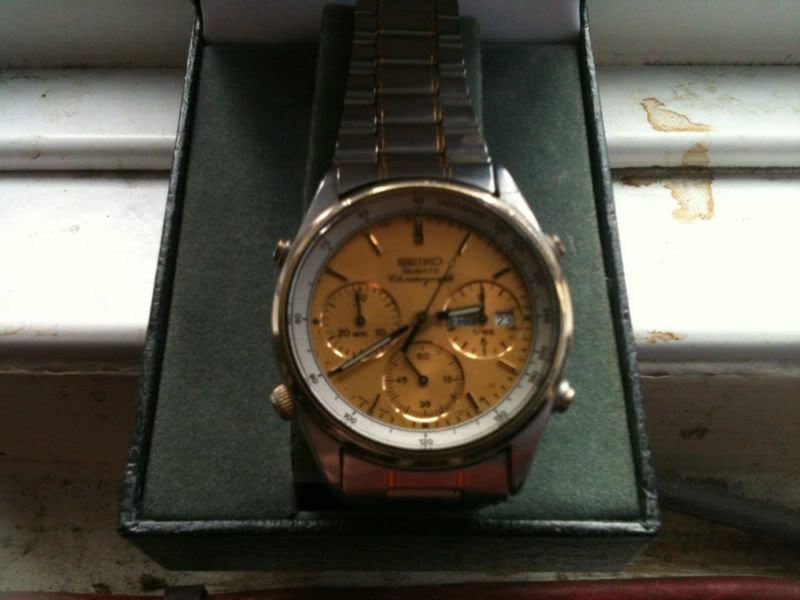 I have this watch. Tommorow write the references. Thank you for your input, Manuel. 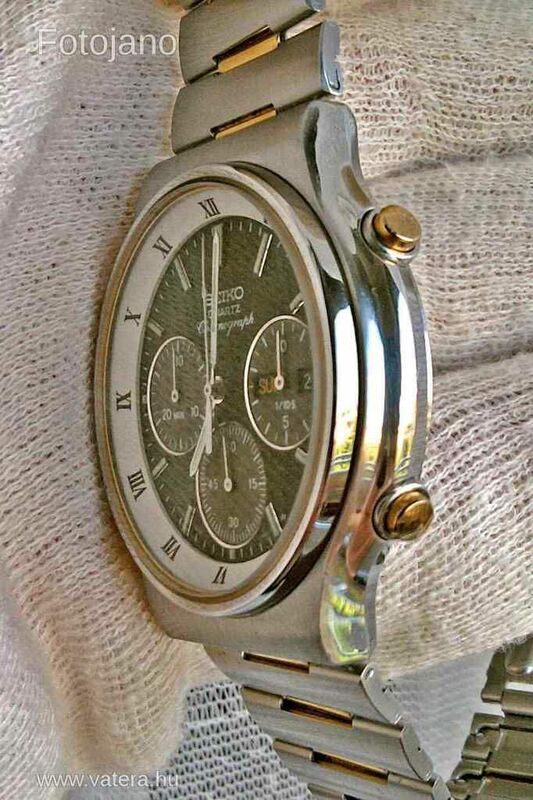 However, I don't think you have correctly identified the bracelet on the Franken. 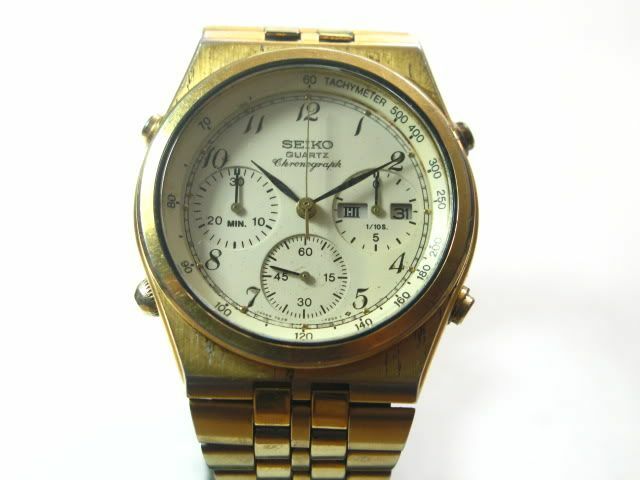 The gold ornaments on the bracelet of the 5H23-7029 are much narrower - indeed, that bracelet (Seiko p/n B1463E) looks more similar to the Seiko p/n B1412D fitted to the 7A38-7180. Apart from having much wider gold ornament bars, the links on the bracelet fitted to the 7A38-7080 Franken are also much flatter. 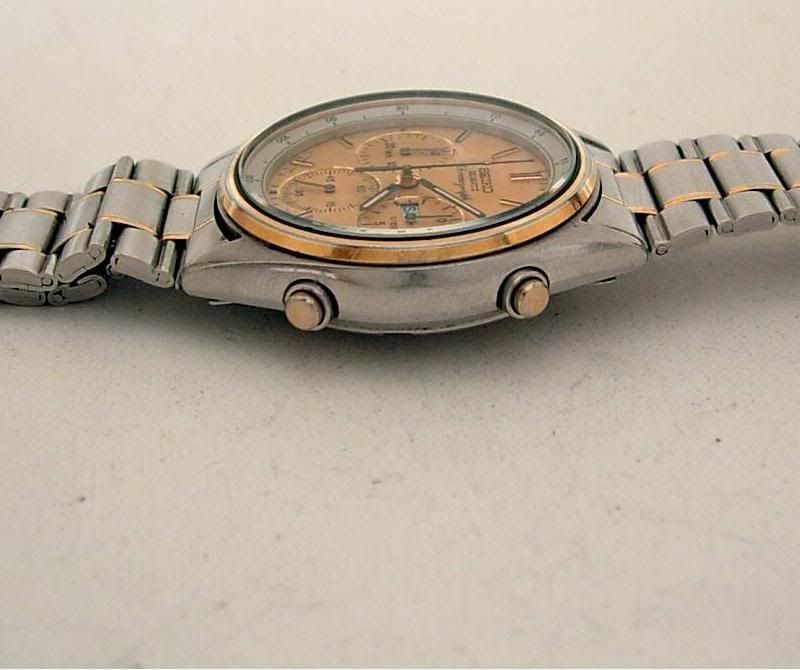 It doesn't really matter if we ultimately manage to correctly identify the bracelet, or not - as long as anybody reading this understands that it's completely wrong for the watch. Thank you for trying, though. It 's been a pleasure to identify the alien piece ;):). The bracelet in an alien piece. 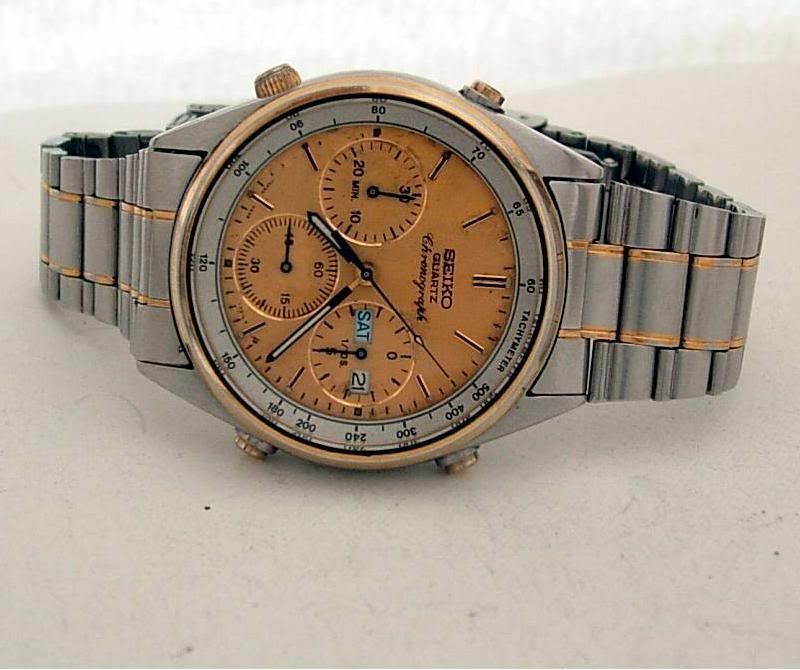 The auction for that 7A38-7020 / 7A38-7140 Franken ended about half an hour ago at a ridiculous 321 Euros (approx. £266). It seems like the start of 2012 is witnessing a trend for crazy 7A prices on the 'Bay - both asking and selling. 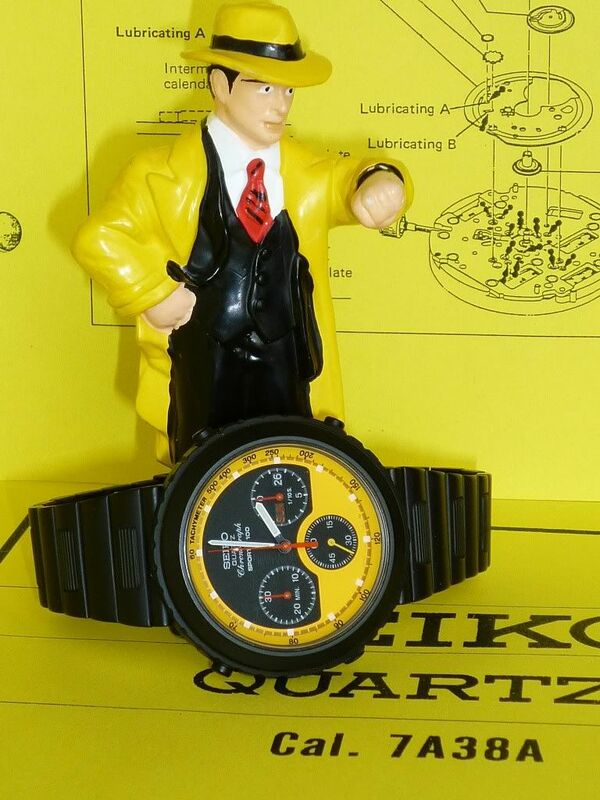 Not only was the watch a complete and utter (and pretty obvious) Franken, but there were some shenigans with the bidding. Scroll down the bidding history I linked above, and you can see that around 10:00pm last night the seller cancelled all existing bids. At that point it had reached only 45 / 50 Euros. Whether this was a vain attempt on his part to reinstate his original ludicrous Buy-it-Now price of 1200 Euros, I guess we'll never know, because pretty soon it had climbed back up to where it was - and then some. 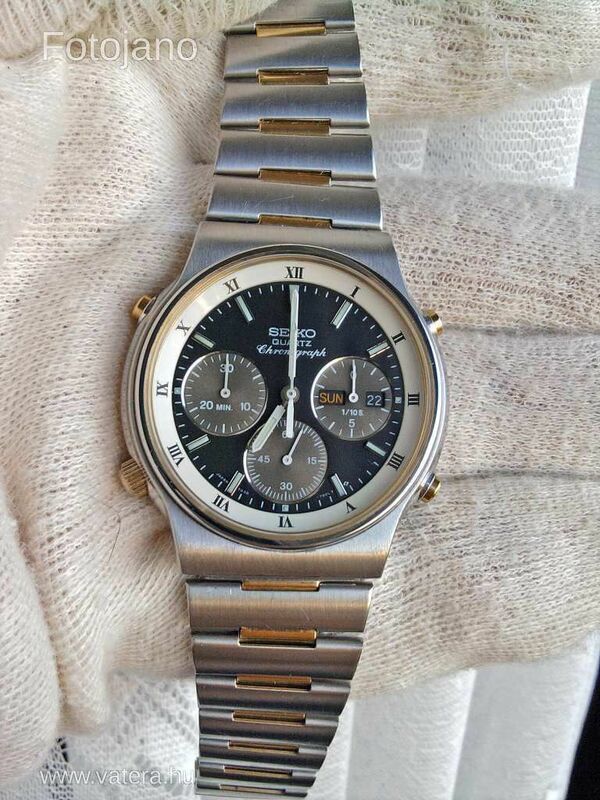 Needless to say - thankfully, that 7A38-7080 Franken (fitted with 7A38-7180 710L dial and hands) in my second post went unsold. The seller has just re-listed it, but including the original 709L dial and hands from the 7A38-7080 in the same lot, as a 'spare' ! RARISSIMO DA COLLEZIONE. IN OTTIMO STATO. FUNZIONA PERFETTAMENTE. He's still asking a ridiculously over-optimistic 399 Euros for the combined lots - which are now effectively a 're-build-it-yourself' job. This was originally posted by 7Arcool (in the wrong thread, in the wrong forum section) - but still a good call, all the same. May I assume this could be a Sublte,dare I say it "franken"? Nothing subtle about that one Chris - and no prizes for spelling for the semi-(il)literate would-be seller. 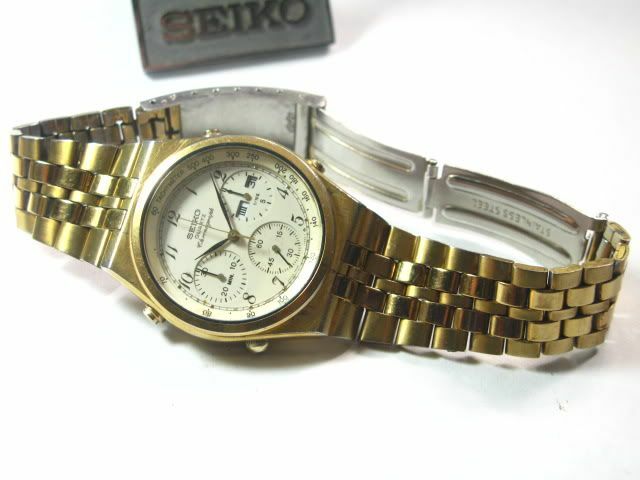 It's basically a two-tone 7A38-7060, fitted with the 701L dial and hands (and presumably movement) out of a gold-tone 7A38-7000. 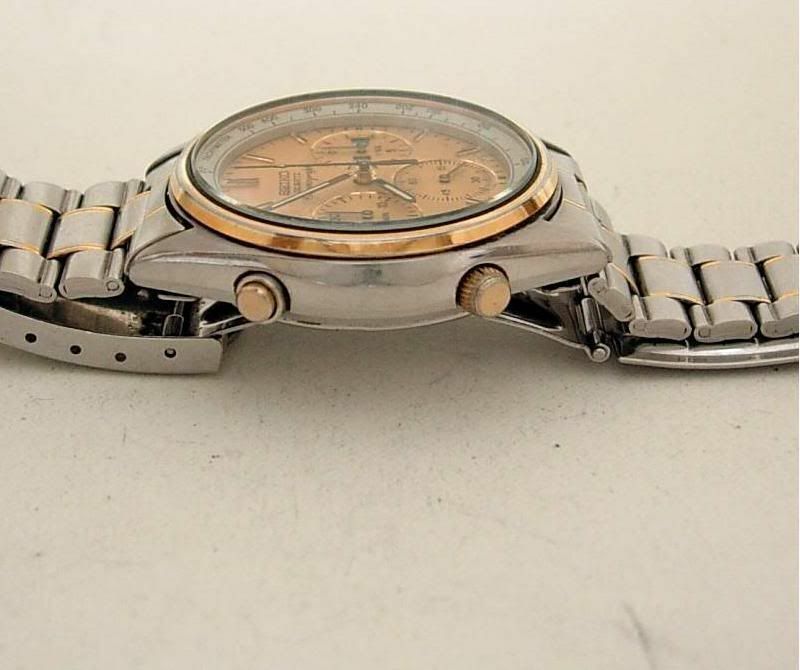 .... but looking at the state of the dial, I'd suspect that the seller's 'father' fell in the canal while wearing it, on at least one occasion. 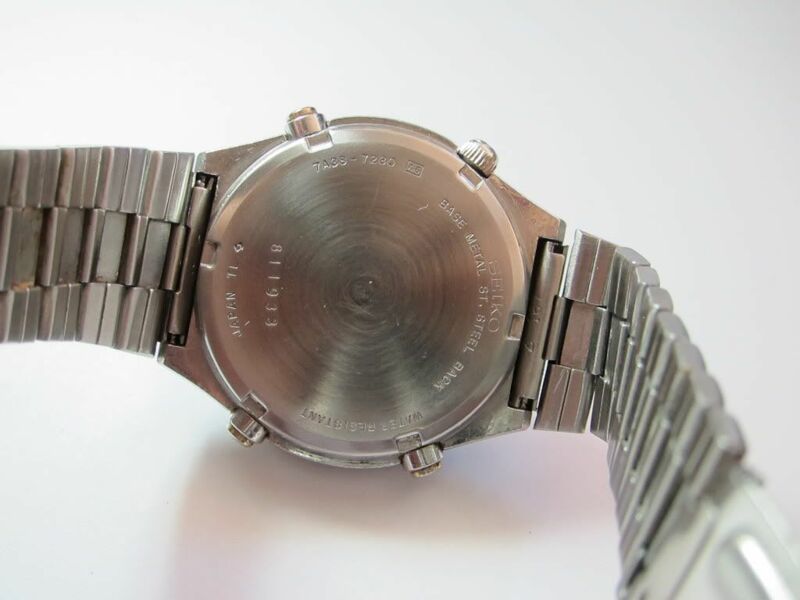 You'll notice that apart from having the wrong 701L dial, it's also fitted with the wrong case-back off an all-stainless 7A38-7280 ! 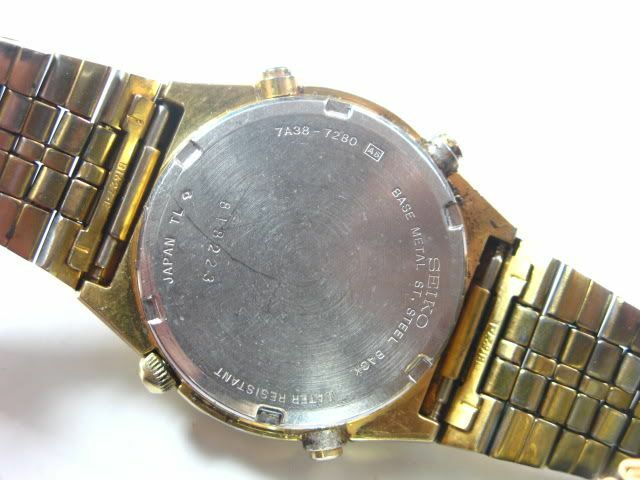 Might be worth messaging the current eBay seller, and asking him what the 7A38-xxxx case-back number is on his father's watch. They say there's one born every minute - you can see for yourself the perceived intelligence of a person who buys such rubbish. 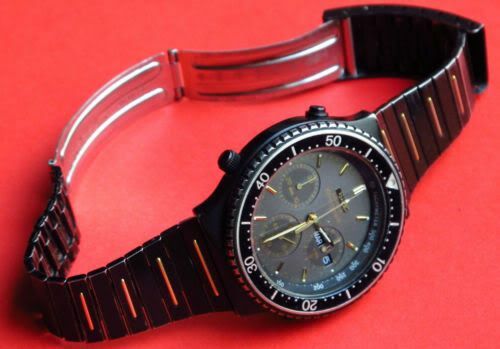 But despite his disclosure of a non-original bracelet, there's really no other way this watch could be described, but as a Franken. 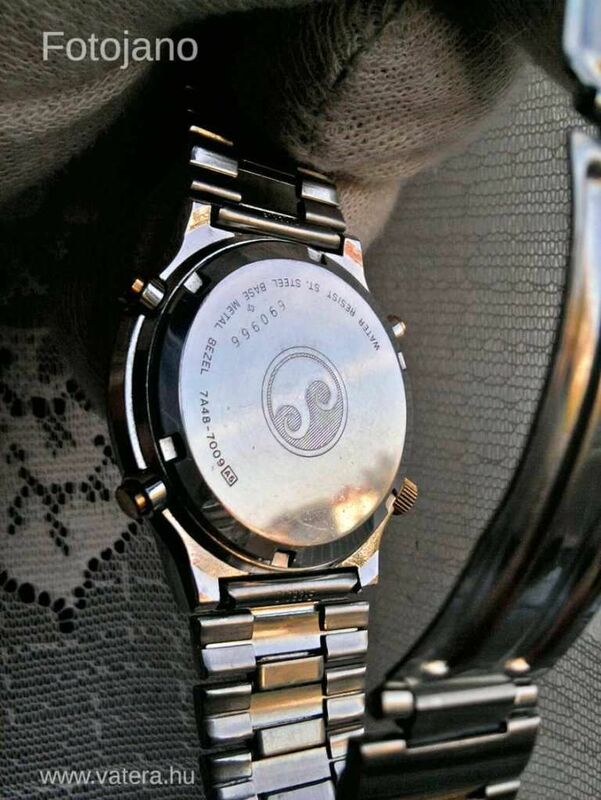 DIAL: Original dial in decent condition. Farci/English wheel. All functions work. 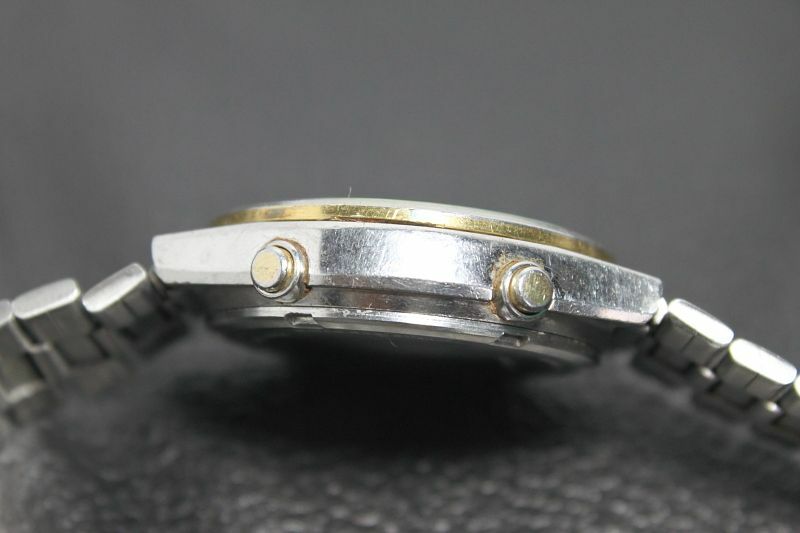 BEZEL: Chapter ring in good condition. 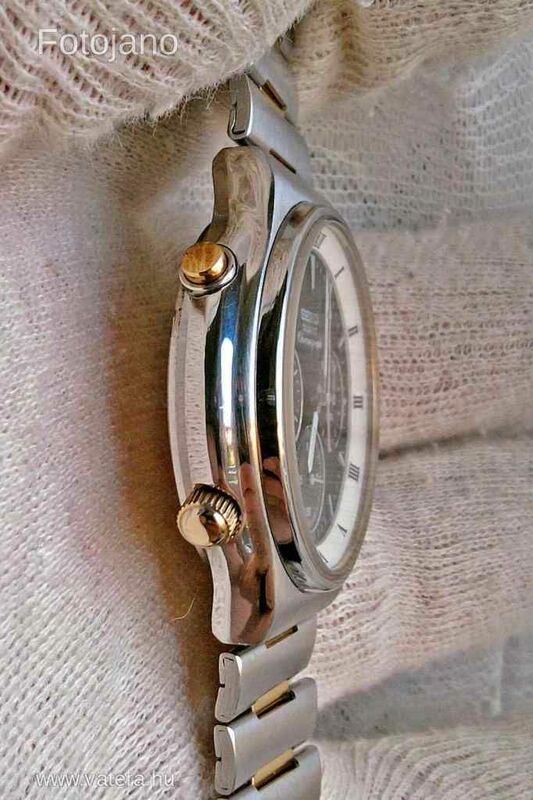 MOVEMENT: Overhauled 1 week ago.... watch keeps time. BRACELET: Replacement bracelet, extension clasp placed, SQ lock. 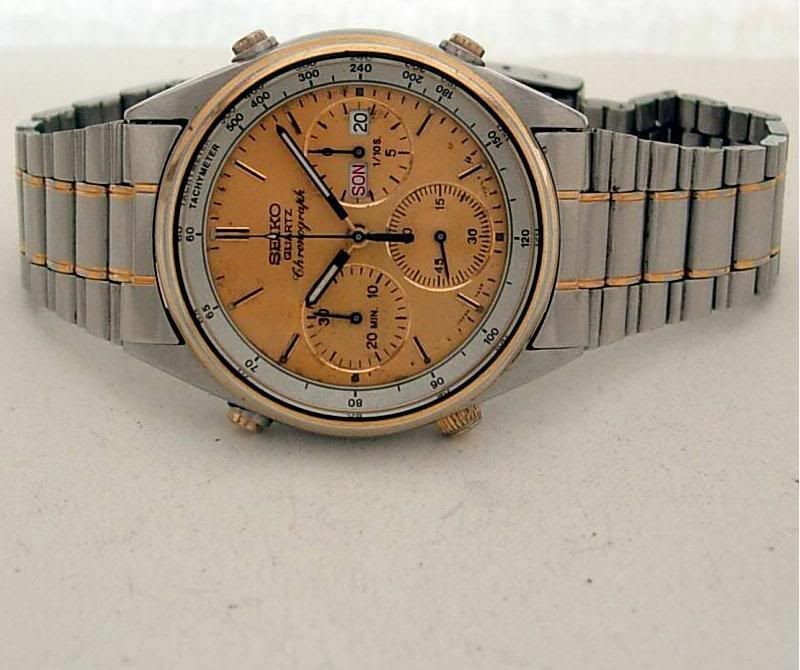 The tachymeter ring, arabic numbered dial and case-back may be from a gold-tone 7A38-7280, but there it ends. 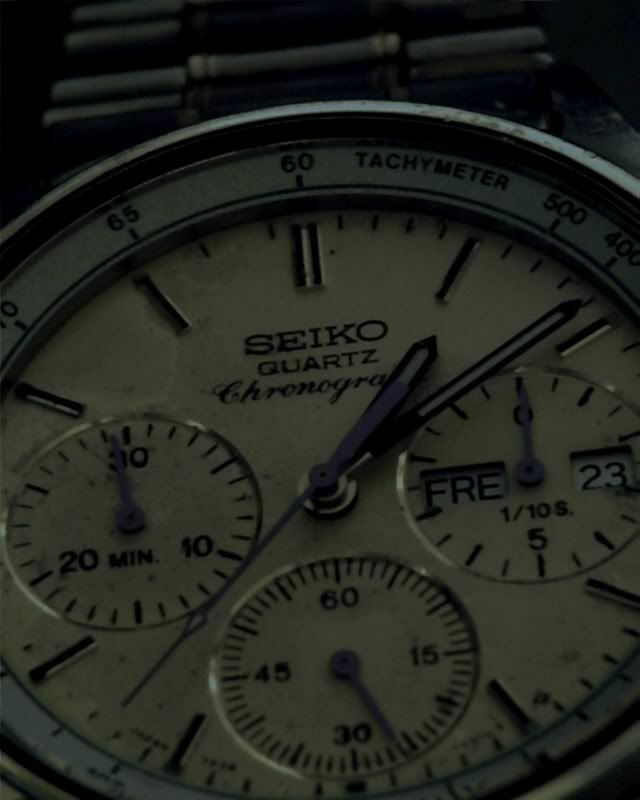 The watch case (and bezel) is totally wrong for this dial. It's the one normally used for the 7A38-7190 and 7A38-7270 ranges. 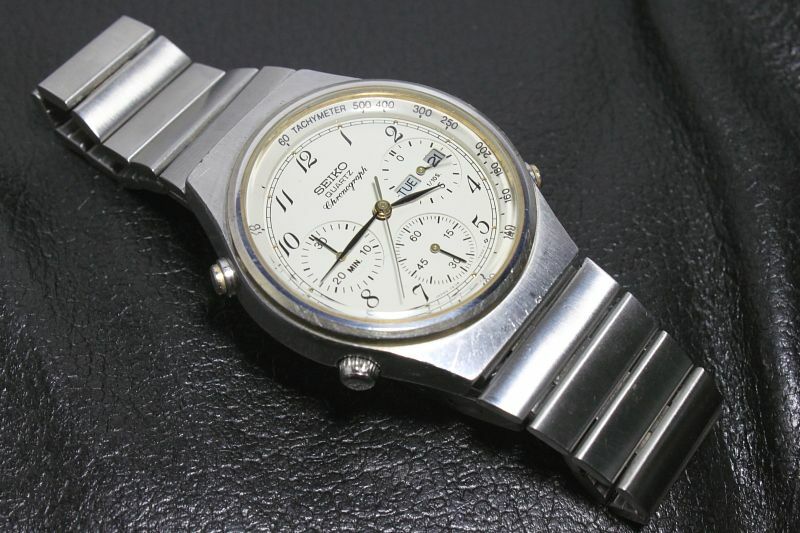 Looking at the traces of gold plating inside the bezel, and on the pushers and crown, I suspect it may have been a two-tone variant. In fact, checking back through my records, José sold a 'pukka' gold-tone arabic 7A38-7280 on eBay as recently as January this year. It might have been a well-worn example, fitted with a longer SQ clasp closer, but otherwise O.K. So he should know what one looks like. Another, rather more attractive 7A38-7270 / 7A38-7280 Franken is currently on offer in a FS (lot of 3) advert on Orologi & Passioni. the deluded German eBay seller 'sonntagsuhr11' is asking 159 Euros (approx. £128.46) as a B-I-N - DOUBLE what he paid for it. 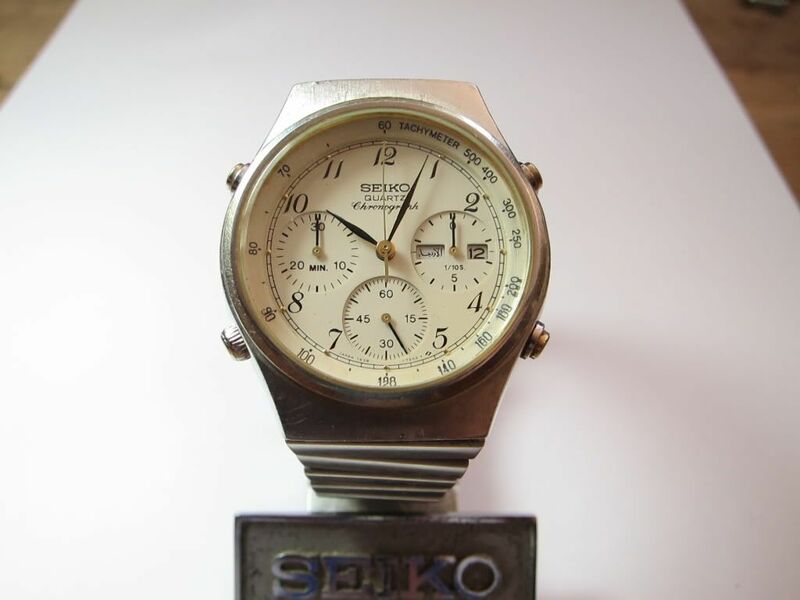 Verkaufe hier eine Uhr der Marke Seiko Chronograph Sports 100 mit Day/Date Anzeige. 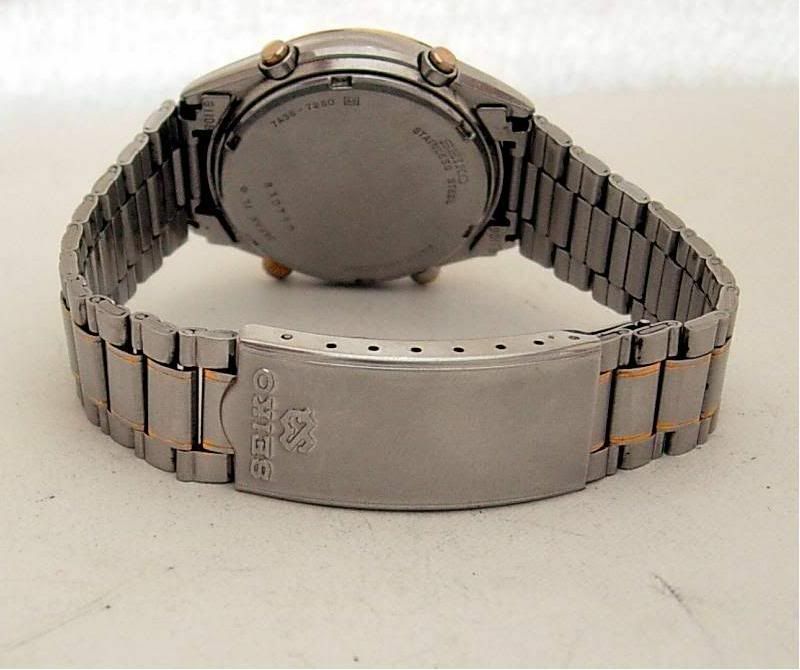 Das Gehäuse ist Schwarz und hat ein Durchmesser von 40mm, das Band ist aus Edelstahl mit Schwarzen Einlagen und ist signiert mit Seiko. Das Model ist 7A38-7070. Das Gehäuse und Band sind mit mittleren Gebrauchspuren, Lünette mit Starken Gebrauchspuren,Lünette leicht drehbar muss eine neue Feder ersetzt werden. Glas ist kratzfrei. 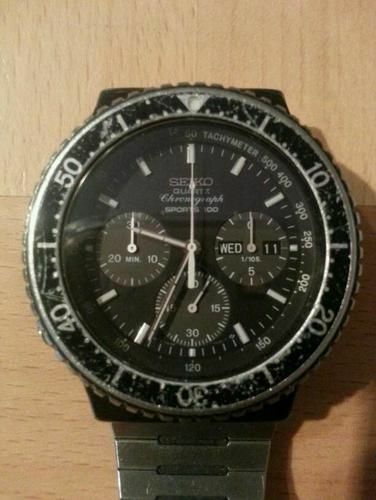 Die Drücker müssen etwas stärker gedrückt werden um den Chronograph zu starten und zurück zu stellen, sonst in einwandfreien Zustand,läuft prima. Privatverkauf keine Rückname. 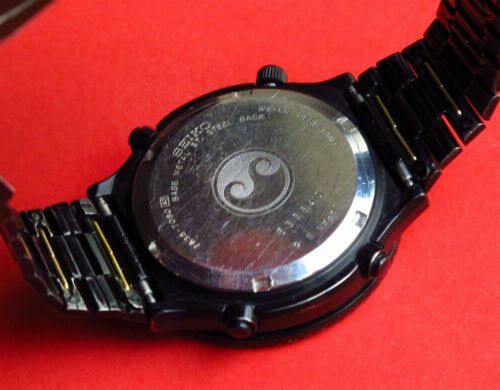 It may have the case-back and 709L dial from a 7A38-7070, but the well worn black case is from a 7A38-7080. 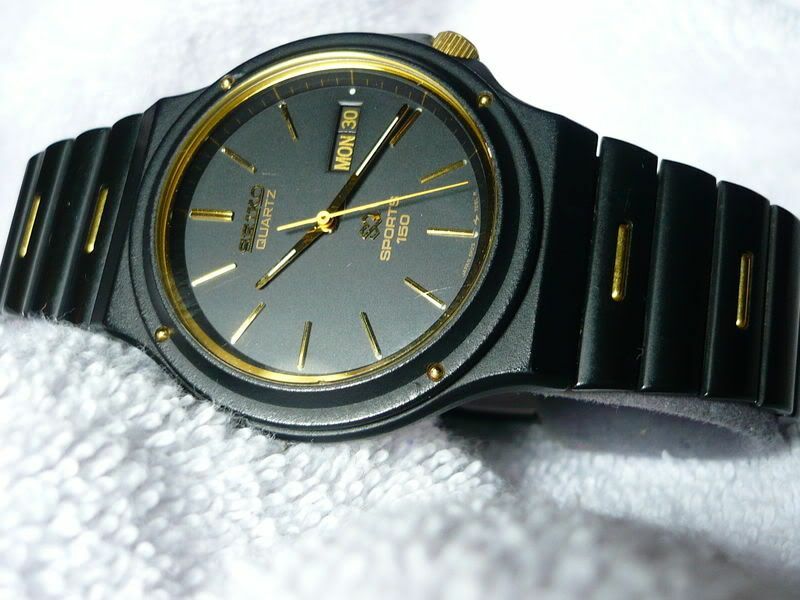 It's also fitted with an unidentified Seiko bracelet that probably originated from an 80's LCD model. Might be useful to break for spare parts though. PS - Gotta love this bit of the description: 'sonst in einwandfreien Zustand' - which translates as 'otherwise in perfect condition'. 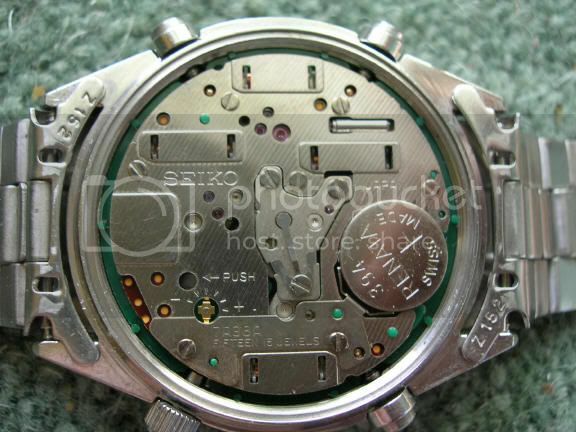 Back in January 2011, I saw an interesting - read different 7Axx Franken listed on eBay Italy. It was a 7A48-5000 dial in a gold-tone 7A38-7280/9 case - the first time I'd seen this particular dial / movement / case combination. 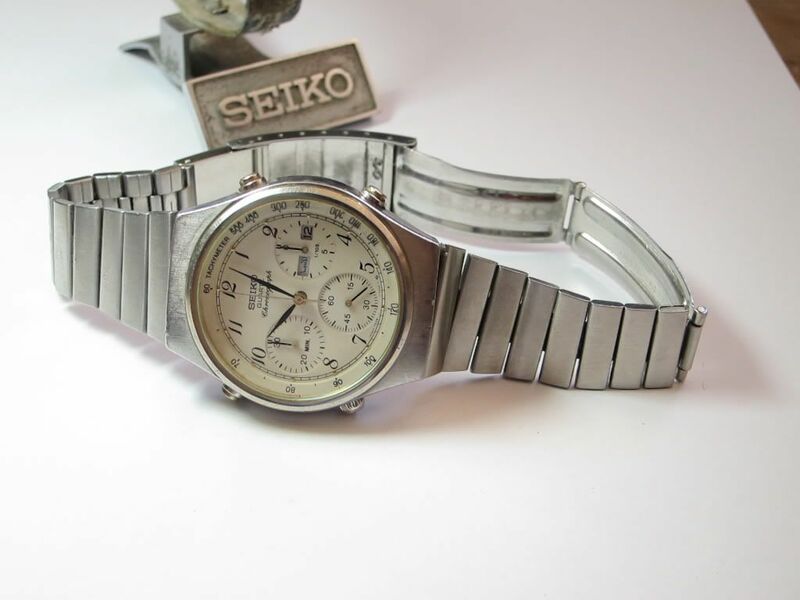 Unfortunately, I appear to have lost the original eBay listing photos - probably during the reorganization of my Photobucket account. I always knew this was doable, anyway, before I saw that one - and some dial / movements will be a direct swap, without the need for any minor modifications to dial ring spacers. picture of the structure for illustrative purposes only. IIRC, the movement shot included in the listing is one that Foggy (Ian Fogden) posted of his 7A38-7060 many years ago on TZ-UK. 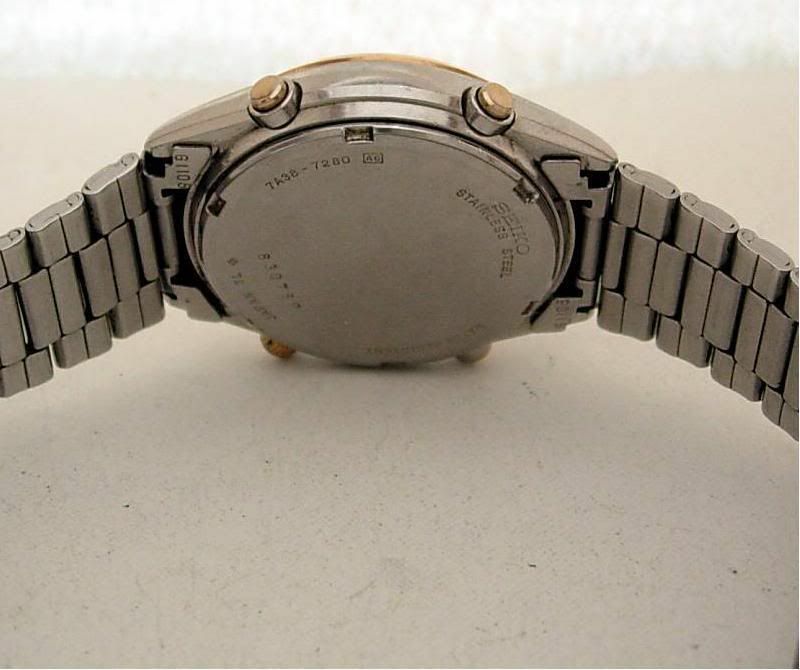 It's clearly a 7A38-7000's 700L dial / movement in a 7A48-7009 case and bracelet, using the 7A48-7009's Roman numeral dial ring. 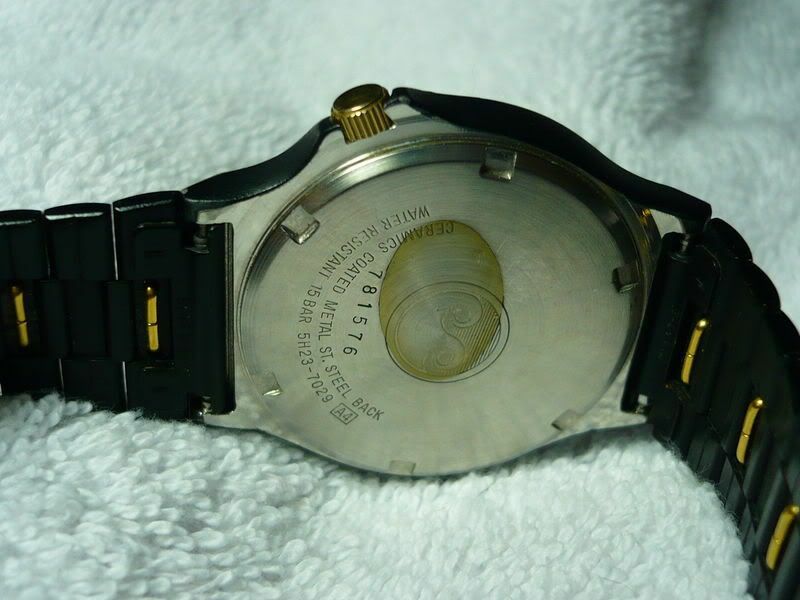 The bezel is probably the original 7A48-7009 part, with the gold plating stripped off / polished, rather than from the 7A38-7000 donor. Asking price is a fanciful 45,000 Hungarian Forints - equivalent to approx. £120 / $190US. What's Caveat Emptor in Hungarian ? ?